João Batista is currently Business Development Manager for 4Subsea. He is a mechanical engineer from Universidade Federal de Santa Catarina and has a MBA in Business Management from FGV. João started his career in the field as Subsea Engineer at Transocean, Subsea Controls Module Engineer at Vetco/GE and then, several commercial and contract management positions in companies like Cameron, OneSubsea/Schlumberger and Helix. My passions outside my professional life are: Sailing; Cruising, Diving, Surfing, Hiking, Trekking, Road Bikes and Golf. As a recreation activities, tend to spend time as an amateur carpenter and motorbike mechanic. International executive manager in the oil & gas industry with proven track record in operation, project management (acquisition, capex or opex), and business development in Europe, Asia, Africa and Middle East. Strong negotiation skills with flexibility to deal with both government agencies, strategic partners, international and national oil & gas companies. Ability to manage and motivate cross cultural companies in difficult environment. Felice has over 10 years of experience in the oil, gas and energy industry. Felice joined Genesis Oil & Gas in 2013 and he is currently the responsible for the Consultancy Team in Genesis Brazil, which provide “Front -End” field development planning for new & brown field, Late Life & Decommissioning Consulting and Environmental Services for the Oil & Gas sector.Born in Italy, Felice is graduated in Civil Engineering, with a master degree in Structures, for the Politecnico of Milan and he attended an Executive Master in Business and Project Management with a focus on the Energy/O&G industry at the Fundação Dom Cabral business school. He worked directly for a number of operators, including Petrobras, Statoil, Shell, Repsol, SBM Offshore, and in several countries through the Americas and Europe. He worked on the execution and management of several Oil & Gas projects from the Technical-Economic Feasibility Study to the Engineering, Construction, Installation, Integrity Management, Life Extension, Late Life Operation, Decommissioning, Abandonment and Restoration. Paul Hillegeist is an entrepreneur and thought-leader with expertise in the offshore energy industry, developed during his successful 29-year career in the field. Paul began as a market strategist, working for two major companies before launching his own business, Quest Offshore Resources, Inc., with two partners in 1999.While serving as President and COO of Quest Offshore, Paul developed and was a partner in several start-up entities related to the business. In 2016, he successfully sold Quest’s Data & Subscription division to Verisk Analytics, VRSK (NASDAQ). Most recently, he co-founded Quest Floating Wind Energy, an innovative start-up delivering market insight, predictive analytics and supply chain insight.Throughout his career he has worked closely with C-Suite leaders of major client companies developing strategic relationships and building collaborative growth initiatives. Specifically, these include upstream energy-focused International Oil Companies, National Oil Companies, Independent producers, tier-one supply chain, industrial conglomerates, sell-side and buy-side global financial firms, institutional investors, renewables developers and mid-stream transportation companies.Paul holds a Bachelor of Arts degree in Economics from The University of Texas at Austin. In his free time, Paul enjoys Longhorn Football games and spending time with his family and golden retrievers in the Texas Hill Country boating, fishing and hunting. Andreas Grossmann has over 25 years industry experience with the last 12 years spent in Multilateral Technology (MLT). He is a Global BD and Technology Manager for Halliburton’s Advanced Completions product line. Previously, he worked as the Strategic Business Manager as well as the Global Operations and Product Manager for the MLT product line. Before that Mr. Grossmann held various technical and managerial positions in the oil & gas industry. Including as a Country Manager for Cameron in the Caspian. He holds a degree in well drilling from Technical College Stralsund and a master’s degree in petroleum engineering from Technische Universität Bergakademie Freiberg, both in Germany. He is a member of SPE for 27 years. Bachelor in Economic Sciences / Pontifical Catholic University (PUC) of Rio de Janeiro. Júlio is a member of the International Tax, Tax Deal Advisory (M&A) and Transfer Pricing area of the KPMG office in Rio de Janeiro. He has 19 years of experience in tax advisory services to domestic and foreign clients, including complex corporate reorganizations in various branches of industry, tax planning, structuring for business acquisition and sale, tax and labor due diligence, transfer pricing, as well as other tax-related advisory services. As a member of the International Tax, Tax Deal Advisory (M&A) and Transfer Pricing area, Júlio is responsible for advising foreign clients starting operations in Brazil, either through acquisition of existing companies or through organic growth. He is also responsible for assisting companies in activity regarding their fiscal strategy, transfer pricing as well as providing tax advice to domestic and international clients. Julio is an active speaker on Brazilian taxation. He has participated in numerous conferences and seminars on various tax issues, especially related to international operations such as inbound and outbound investments, transfer pricing and BEPS – Base Erosion and Profit Shifting. Júlio has experience in several branches of industry, including energy and natural resources (e.g. Oil and Gas, Electric Power – generation, distribution and transmission – and renewable energy) and infrastructure. At KPMG, its projects are directly focused on tax planning, tax strategies for foreign groups, corporate reorganizations and tax advice for domestic and foreign clients. Paulo has a strong experience in advising clients throughout M&A transactions, and throughout valuation services. During his 15 years of Corporate Finance experience, he has participated in a wide range of activities, including: financial advisory to clients in mergers and acquisitions, privatizations and offerings. He has provided deal management and valuation services on numerous cross-border transactions for both domestic/international and financial/strategic buyers in large and complex deals.Before joining KPMG in Brazil he worked at Açúcar Guarani (prominent sugar and ethanol Company in Brazil) and was CFO at Cimentos Liz (major cement group in Brazil). Oil and Gas executive with more than 25 years experience in the industry. General management of P&L and operations, strategy, business development, engineering and manufacturing. Electronic Engineer (University of Brasilia) and Petroleum Engineer (Petrobras University), Marcio holds an MBA in Business Development (Federal University of Rio de Janeiro) and a course on Management of Partnerships and Strategic Alliances (European Institute of Business Administration – Insead). He has a long and consistent experience in the Energy Sector especially in the oil and gas industry. He worked in the former Flopetrol-Schlumberger (1981/1982) as a well testing engineer. Since 1983 he has worked with Petrobras, starting as an oilfield engineer and then several management positions in the Exploration and Production Division, such as: General Manager of the E&P Operations Unit of Espirito Santo, General Manager for New Ventures, and Executive Manager of International Technical Support in Petrobras overseas operations. He was Secretary for Economic Development of the State of Espirito Santo, Brazil, from 2010 to 2012. Secretary of Oil, Gas and Biofuels from July 2016 to March 2018 and again since January 2019. From April to December, 2018 he was the Brazilian Deputy Minister of Mines and Energy. Ide is the Vice President of MODEC Serviços de Petróleo do Brasil Ltda, a group of MODEC (Headquarter in Japan) in offshore oil and gas production service sector. He holds a bachelor of mechanical engineering from University of Tokyo and has 23 years professional experience. He started the initial carrier for 2 years in mechanical engineering and design in automotive sector then spent majority of his time for project management. Since joined MODEC in 2000, he assumed project management for 15 years to deliver FPSO (Floating Production, Storage and Offloading unit) to serve oil and gas production service for oil and gas field operators. From 2015, he took the role of Vice President of Operation in Brazil where MODEC holds 10 FPSO facilities to charter and operate. MODEC contributes to deliver around 20% of all Brazil oil production, or around the half of gigantic pre-salt reservoirs in Brazil. He has also assumed the role of Chief Transformation Officer (CTO) to lead deep/wide financial and sustainable transformation at MODEC do Brazil with consultancy firm. From 2017, he extended his role into Ghana to extend, synergize, adapt, and further elaborate Brazil experience, methodology, and deliverables into Ghanaian operation where MODEC operates two FPSOs. As a matter of continuation of transformation journey, he is currently leading digital transformation in operation as well as working as advisor for global digital strategy. Neil Crawford is Vice President, Intervention Services for Oceaneering International in Houston. Oceaneering Intervention Services provides both mechanical and hydraulicriserless subsea well intervention and innovative customer solutions. Mr. Crawford was previously President and founder of Blue Ocean Technologies, a riserless subsea intervention company, that Oceaneering acquired in 2016. Prior to Blue Ocean he worked for Tetra Technologies, FMC, Xerox and Halliburton in various roles. He has degrees from the University of Strathclyde, BSc Petroleum Engineering & MSc Mechanical Engineering. Mechanical engineer Doctor in Science from University of São Paulo. At Petrobras became Petroleum Engineer. Since April 2018, holds the position of General Manager for Digital Transformation. Previously he occupied different managerial posistions as Technical Competencies Manager for Wells and Rigs (2016-2018) and R&D Manager for Well Construction (2013-2016). In his technical career, Borella was Drilling Consultant for pre-salt wells (2011-2012) and worked as Drilling Program Engineer at International Business Area and Santos Basin Operations. Additionally, he was professor (2009-2010) and course coordinator (2011-2012) of Petroleum Engineer Course at Santos Catholic University. Roberta Nobre Damiani Pereira is the manager responsible for the implementation of Law 13.303/16 at Petrobras and works at Corporate Affairs Board – Good and Service Procurement area. She holds a degree in Business Administration from UERJ, a MBA in Management of Human Resources from UFF, a MBA in Oil & Gas Business Management from IBP and a MBA in Advanced Business Management from FGV. She has been working at Petrobras for 13 years and has held several management positions in the Procurement area. Before being appointed to the implementation of Law 13.303/16, she held the position of Subsea Procurement Manager. 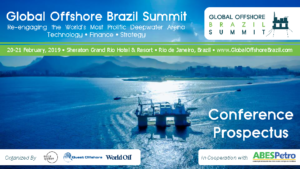 Ricardo Toneto de Melo is currently the Subsea Manager for Libra Project in Petrobras. Prior to this role, he worked in various projects in Petrobras, including deepwater pos-salt and pre-salt projects. Some of these roles include Subsea Systems Engineer, Project Management Practices applied in Subsea, Subsea Project Manager, Subsea Engineering Manager. Toneto holds a bachelor degree in Mechanical Engineering since 1995. He has three specialist degrees: Subsea Engineering, Planning Engineering and Maintenance Engineering. He has more than 20 years experience in engineering and project management and has worked for Petrobras for more than 10 years. He joined PetroRio as a Well Engineer in 2011 and has held different positions since then such as Drilling Manager and Operations Manager. Previously he worked as an Engineer and Rig. He holds a degree in Mechanical Engineering from UFPB, specialization in Petroleum Engineering from UNP and an MBA in Project Management from FGV. He holds degrees in Mechanical Engineering from UFRJ (1977), business administration from UFRJ (1989) and an MBA in business management from FGV (2000). He has worked at Petrobras for 37 years with emphasis on production facilities on terrestrial and marine production fields in the Espírito Santo and Campos Basins. He held several management positions, including those of general manager of E&P facilities and production processes at Petrobras’ headquarters from 2010 to 2015. At age 63, born in Rome – Italy, Flavio Piccio, is working at Saipem do Brasil as Managing Director for more than one year.Working for Saipem Group since 1982, Mr. Flavio has a MSc degree in Mechanic Engineering and background in Management and has worked in countries such as Nigeria, Denmark, Netherlands, United Kingdom and Malaysia.Over the last 36 years dedicated to Saipem, Mr. Flavio has perform different jobs/positions within the Group, being the last one: “Offshore Area Manager Caspian Sea, Black Sea and North Mediterranean Sea”. José Borges Frias Júnior has both Brazilian and European citizenship, speaks Portuguese, as mother tong and is fluent in English, German and Spanish and holds a degree in Mechanical Engineering from the Polytechnic School at São Paulo University (USP) and in Business Administration from FEA / USP, an MBA from the Business School São Paulo and Rotman School of Business at the University of Toronto / Canada and executive specialization courses at Fundação Dom Cabral and the Kellogg School of Management in Chicago in the United States. Acting at Siemens since 1987, he has worked in several areas such as Industrial Engineering, Quality, Process Management, Service, CRM-customer service, Marketing Communication and Strategic Marketing. All this experience was accomplished mainly within the industrial and telecommunications segments. He worked at Siemens headquarters in Germany for little over than a year in a technology transfer project of a new contactors line to be installed and launched in Siemens Brazil. He led many other corporate projects like the corporate supplier evaluation process, ISO 9001 certifications, National Award for Quality (PNQ) and was acted as representative of Brazil, Argentina and Chile in the worldwide Siemens CRM project. Borges is currently Director of Strategy, Market Intelligence and Business Excellence for 3 Siemens Divisions in Brazil: Digital Factory; Process Industries and Drives; Building Technologies. He is also the coordinator of Siemens’ Digitization initiative and actively participates in the main discussion forums with Government (MCTIC, MDIC), Academy, Industry National Confederation (CNI), Development National Bank (BNDES) and Class Organizations on the topic Advanced Manufacturing (Industrie 4.0) and competitiveness of Brazilian industry. Claudio Makarovsky has Bachelor Degree in Chemical Engineering and MBA in Corporate Finance by FGV- Babson College. Is Head of Oil & Gas Sales at Siemens Brazil and President of ABESPetro. Philippe Blanchard has a degree in Mathematics and Physics from École Polytechnique in France and has followed a postgraduate master in Geophysics in Institut Français du Pétrole. Philippe started his career in former Elf Aquitaine in 1994 as a Geophysicist for France Exploration activities. He subsequently served as Exploration Geophysicist in Angola at the time of Block 17 deep-water discoveries, between 1997 and 2000. Philippe moved to Total’s Development and Planning division in the head office, in France, being in charge of development studies, mostly for Africa assets, between 2003 to 2005. In 2006, he joined Production Operations as site manager in OML58 producing license (gas and oil) located onshore Niger Delta, in Nigeria, and returned later to Angola as Producing License Director for the Block 3. He moved back to Total’s head office in 2011 as a Project Director in Total E&P New Ventures, mostly in charge of acquisition and divestments of Upstream assets focusing on Africa. In May 2014, Philippe was appointed Managing Director of Total E&P PNG Limited – Total Group subsidiary in Papua New Guinea and the operator of PRL-15 license that comprises the fields Elk and Antelope to be the second LNG development in the country. In October 2018, Philippe Blanchard was appointed President of Total E&P do Brasil and Total Group representative in Brazil. Rogério has more than 15 years of experience practicing law, with a strong focus on general contractual and corporate law. He has deep knowledge in the oil & gas, shipping, defense and security industries, working consistently with Brazilian and international companies. Rogério also assists a number of energy and infrastructure companies in Brazil and abroad with settling in Brazil and throughout their respective operations, including project finance. Rogério has also advised clients with multiple mergers, acquisitions and restructuring transactions, with particular experience in due diligence, drafting sessions and negotiation of the respective agreements. Focusing on the infrastructure, oil & gas, and shipbuilding industries, Rogério is also experienced in the various legal aspects related to the defense and security industries, regularly advising local and foreign companies on the negotiation of their contracts with the Brazilian Armed Forces. Recognized for his knowledge of the Petrobras bid system, Rogério advises clients on the revision of Petrobras bid documents (including farm-out agreements), assessing their main risks and liabilities, drafting requests for clarification during tenders and direct negotiations, attending bid-related meetings, as well as, preparing bid-related documents and appeals against decisions of the bid committees. Rogério also works with Maritime Law and shipbuilding clients, including revision and negotiations of financing and respective collateralization, building, chartering and operation contracts, as well as assisting its clients in the attainment of all regulatory requirements of navigation companies and their Brazilian or foreign-flagged vessels. Prior to joining Veirano Advogados, Rogério was seconded to Petrobras for more than two years where he gained significant experience with the Petrobras bid process. Rogério has worked as an international associate of the law firm Paul Hastings LLP, in New York, NY, between the years of 2015 and 2016. Ali El Hage Filho is a Brazilian lawyer and a solicitor of England & Wales. He is a partner at Veirano Advogados and has extensive experience in the Oil & Gas sector, working in projects and operations in Brazil and in the UK. Prior to joining Veirano Ali worked for circa 13 years in senior in-house legal counsel roles for BG Group, based initially in São Paulo, then in Rio de Janeiro and lastly in Aberdeen, UK as the Vice President leading the Legal, Compliance and Contracts and Procurement areas of one of the most important business divisions of BG Group, responsible for the company’s UK and Norway oil and gas production. Ali holds and LLM from the University of Warwick (UK) and Insper (Brazil). He has worked across different businesses segments within the oil and gas industry, from natural gas distribution and transportation to the full life cycle of the upstream, from early licensing and exploration to production and decommissioning. Ali has led and coordinated legal support to a variety of matters relevant to the oil and gas industry, from financing, M&A transactions and project development to critical issues closer to companies’ operations, including disputes, compliance, emergency response and procurement. Carlos Maurício holds a Law Degree from Pontifícia Universidade Católica de Rio de Janeiro and an MBA in Economics and Corporate Law from the Post-Graduation School of Economy of Fundação Getúlio Vargas – FGV, as well as an Executive Post-Graduate Degree in Oil & Gas from COPPE/Universidade Federal do Rio de Janeiro – UFRJ and also an Executive Post-Graduate in the Environment from COPPE/Universidade Federal do Rio de Janeiro – UFRJ. He Is fluent in English and French. Mr. Ribeiro’s practice at Vieira Rezende Advogados encompasses Environmental and O&G law. He also acts as legal counsel for the Brazilian Association of Oilfield Services Companies (ABESPetro). Mr. Ribeiro is a member of the Brazilian Petroleum, Gas and Biofuels Institute (IBP), the Association of International Petroleum Negotiators – AIPN, the Rocky Mountain Mineral Law Foundation – RMMLF and the NBCC – Norwegian-Brazil Chamber of Commerce.